I have been in USA for sixteen years. I have never cooked turkey. It just didn’t occur to make a traditional “thankgiving” meal. A traditional thanksgiving meal includes but not limited to : turkey, stuffing, mash potatoes, gravy, rolls, cranberry sauce, pumpkin pie, and so on. Last year, I took an oath to make a traditional thanksgiving meal. 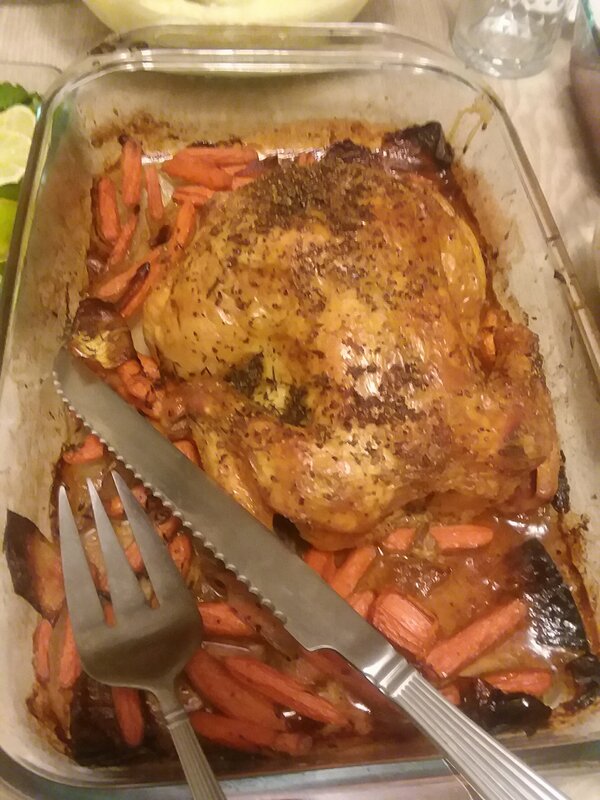 Since I was unable to obtain a kosher/halal turkey, I was stuck with chicken (I wasn’t too bummed out about it as turkey is huge and that would mean a lot of work, too). I made stuffing, mash potatoes, and cranberry sauce. It was a different experience. A different taste. A different terrain of flavor. 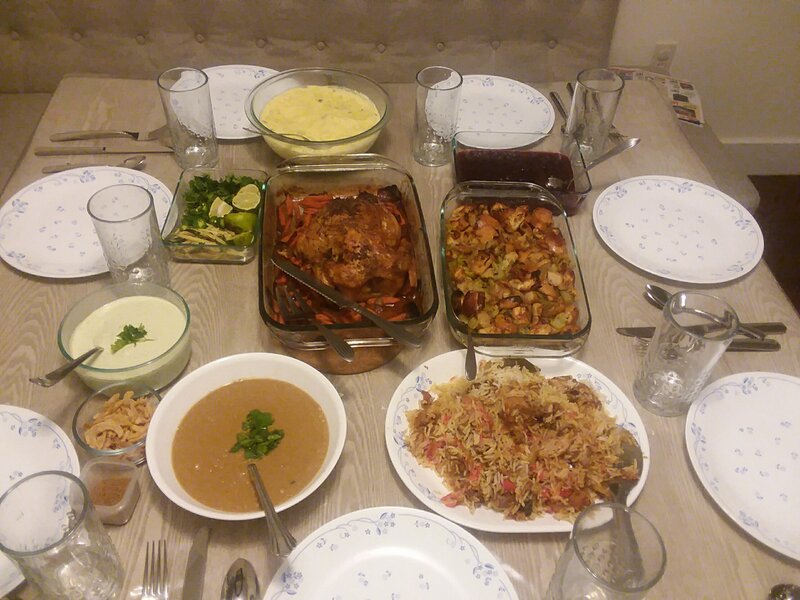 I couldn’t help but also add my traditional entrees: biryani and haleem. It turned out to be a grateful thanksgiving: food and family, basic need of a happy/ healthy life! Next Next post: Oh Bob! What have you done….